There are three people I play badminton with regularly that hate me. One is a middle aged guy and he doesn’t just hate me, he hates all women. A classic misogynist he will regularly talk about how women’s, and mixed doubles is boring, and women are weak and blah, blah, blah. He especially dislikes me because I’m around all the time. There aren’t many women that play as often as I do, and he just can’t get away from me. Obviously I don’t like him either and we mutually ignore each other. It works out fine. The other two people that hate me are college kids (one recently graduated) and they are not at all misogynists. They hate me for another reason: Because I’m a foreigner. One is a “golden boy.” He’s good looking, he’s was one of the top university players, has a beautiful girlfriend (who is also excellent at badminton) and, I’m guessing, he’s rich and probably smart and all that. He’s kinda a classic 80’s teen movie villain who keeps his place at the top of the food chain by being both charismatic and a bully. When he comes to play with us, his attitude is “today is your lucky day because I have graced you with my presence.” Just a lot of confidence coming off him. Just by being a foreigner I steal a lot of the attention and he doesn’t like it. Like, people (strangers) often watch my games, or take pictures or videos of me and won’t even notice his *dazzling* performance. They’ll stand around and talk about me and ask people in my club where I’m from. I don’t like it, I don’t encourage it, but as the only westerner, it’s just part of my life here. I know he doesn’t like me, but he doesn’t quite know how to react to me. Sometimes he likes to make fun of me. (“Viktor Axelson’s Chinese is better than yours,” he once said in an attempt to make me feel bad. “Viktor Axelsons’ badminton is better than yours,” I replied.) Sometimes he likes to buddy-buddy me and hang around and chat with me casually. I’m glad I’m an adult with my own self confidence because his brand of “popular kid” does seem to work with some of the other adults and they suddenly get very cliquey when he’s around. I think he doesn’t actually hate *me* as a person, it’s just that if the sun is attention, when I’m around he feels like I steal his rays and he doesn’t like that. Most people I play with are super nice. There are two people in this picture I’ve fought with (on the court) but we are always friends when we walk off. The third guy that hates me, definitely hates me. We started off as friends. He’s on the team at my uni and we played for a year or more on good terms. We didn’t play a lot, not regular partners, and I can’t remember if he was a guy that regularly “taught” me as we played when I was starting out. But he started coaching girls at the university and decided that he should be listened to and obeyed as a coach. Which I don’t do. He’s an okay player on the university team, but not a top player in my club. When he and my coach play singles my coach gives this kid a 10-point handicap. And he doesn’t coach the female players on the team, he coaches female players who just wanna pass PE class with a high grade. Basically beginners. So at some point he started coaching me and, since we were friends, I told him to shut up. It wasn’t mean or rude. I do it in a “funny” way, and I do it to pretty much every guy I play with (my coach told me to! He insists that I only listen to him and no one else.) And everyone is usually fine with it, they all know me and know that I’m weird, but this guy couldn’t take it. I could feel his anger because I refused to listen to his “genius” coaching. So we stopped playing together and talking. It’s fine. I have a big club and I don’t need to be friends with everyone. But I always caught him talking about me. Like the time I was leaving and I heard him saying to the student he was teaching “She’s a teacher at the university.” or the time I was leaving class and I heard someone behind me say “Long Xiao Bing…” and I slyly looked over and saw it was him telling his classmate about me. 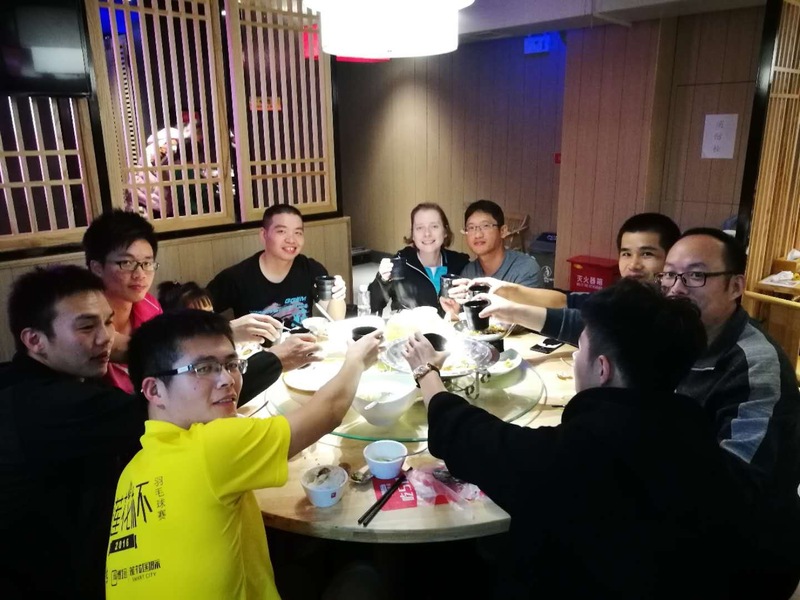 Since I AM a foreigner, I’m “cool” in Chinese people’s eyes and to be friends with me is “cool.” (I assure you I’m not cool, just a culture thing.) So he was kinda using me to impress his friends. Why else talk about me all the time? But knowing the bad feelings between us he never tried to talk TO me, just about me. After months of successfully avoiding each other on the court, Monday night we were stuck. There was only four of us, and he was the strongest player and I was the only girl. Whenever I played with anyone else, the games were quick and I would lose. When he and I were partners the games were challenging and we usually won. He was surprisingly quiet for the first half of the night but his barking commands came eventually and I just ignored what he said and did my own thing. The thing was I was playing pretty good. I’ve been sick with the flu for 3 weeks now so I’m on the weak and tired side, yet I was playing my normal game, not especially bad, so I was pleased. But me ignoring his comments just made him more mad and at the end of the night he looked at me and said real slowly “You. Play. Very Bad.” He said it real slow in Chinese, accenting each word so the dumb foreigner could understand it and he said it twice, just to make sure. And in China, where saving face is vitally important, directly insulting someone is incredibly rude. He knows I know that. My first reaction was to ask him why he said it. “What’s your purpose?” I wanted to ask. “Is it to discourage me? Is it to make me feel sad? Is it to try to bully me to stop playing badminton? Are you so hurt because I don’t take your advice that you want to hurt me?” I wanted to do a little court-side psycho analysis. But I remembered that I’m 20 years older than him and the adult in the situation so I just said “okay,” gave him a cheeky smile so he would know he didn’t discourage me, and left it at that. 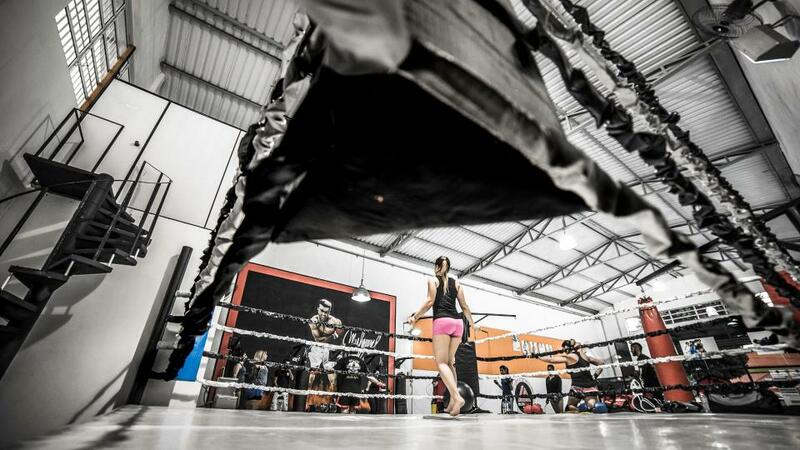 Sometimes stepping onto the court can feel like stepping into the ring when you know your partner hates you. Many times I regret not playing badminton at a younger age, but in the social aspect I am very glad I waited till I’m older. Because I’m confident now and sure of myself as a person. Social cliques and 20-something pressures don’t affect me now. When I was younger I might have felt the pressure to fit in more. To be liked by the cool kids and do things I think I shouldn’t. But I’m almost 42, too old for teenage peer-pressure tactics to work on me. My coach can destroy me with just a few words because I have chosen him and have given him the power. Some little punk, or middle-aged misogamist, doesn’t have the power over me anymore and never will. But this really shows the ugly side of the sport. Truthfully most of the people I play with are awesome, kind and funny and we can get mad at each other on court and walk off laughing as friends. But there are always some people that rub you the wrong way, I guess this happens in any club, or group of people that spend a lot of time together. Cliques. As leader of the group, my coach sets the tone and luckily he sets a very inclusive and friendly tone which most people follow. But he isn’t a personality moderator and the group feeling can change on the nights depending who is playing. Again, I don’t know how much of this is because I’m a foreigner or just personality differences. 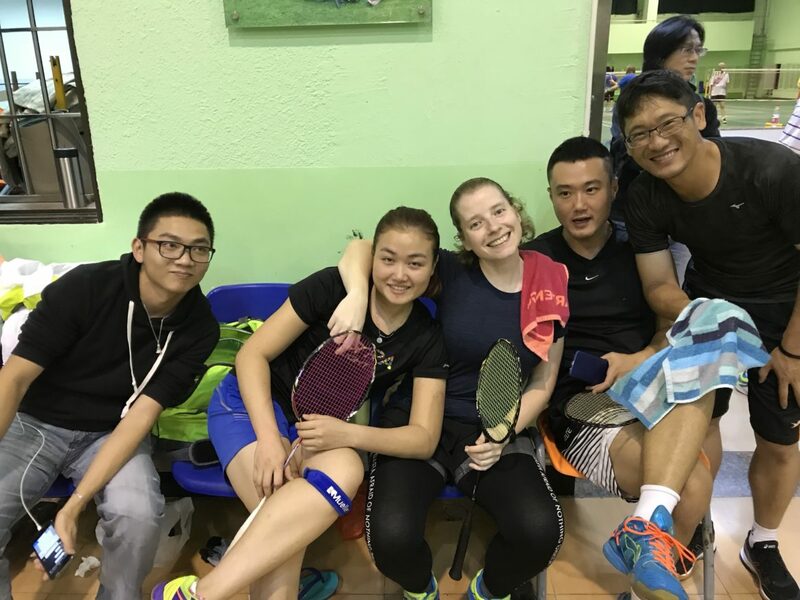 I can study and learn badminton, but for the social things, since I’m the only western foreigner involved in this world, it’s something I have to figure out for myself. wow, sounds weird of those 3 guys.